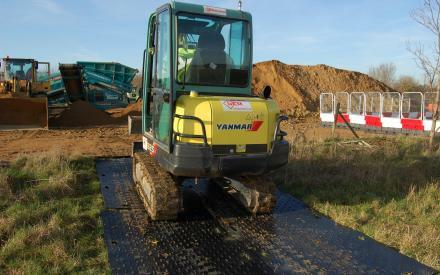 Heavy duty bog mat, or ground protection mat, suitable for worksites, events and temporary access. 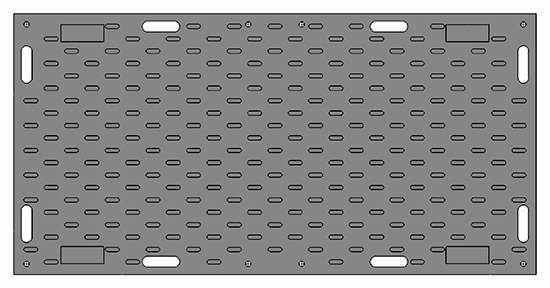 The EnduraMat has a small grip on the top and a large grip on the bottom, making it suitable for vehicle access and pedestrian access. Designed for outdoor use, the EnduraMat grants access in bad ground conditions. 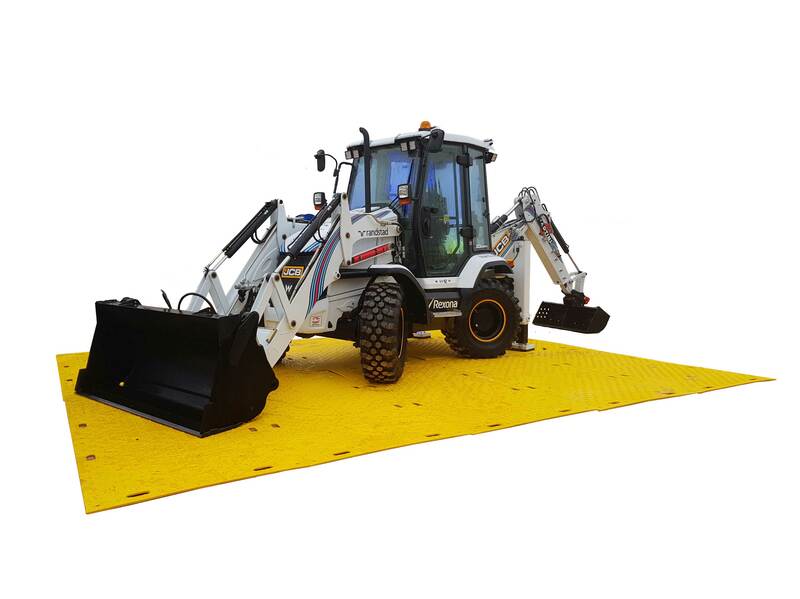 The EnduraMat can be used as a temporary roadway; it is suitable for cars, forklifts, diggers, trucks cranes and vehicles up to 80 tonnes. 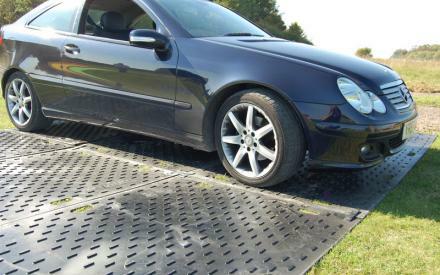 Driving over EnduraMat with a heavy load will not cause significant damage to the ground. 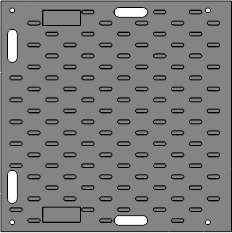 EnduraMat is simple and fast to install with 2 kinds of connectors. 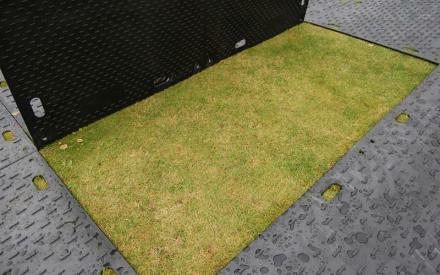 This ground protection mat has an easy-to-clean pattern which can be brushed or hosed down.